Let’s celebrate National Library Week all month long with our Create-A-Bookmark Contest! Open to children from preschool through sixth grade. Children can create an original bookmark about their favorite book, their love of reading, or the library using the official entry form. The winning entries will be printed and available to all our patrons at the library. Official entry forms are available at the Children’s Circulation Desk and on our website. Calling all history buffs to join us for our History Bookmark Night, our very own history club at the library. Each month a subject will be discussed through a selected reading list. Join us for an informative evening exploring many different historical events, while sharing opinions, information and anecdotes with others. Pulitzer Prize David McCullough tells the dramatic story-behind-the-story about the courageous brothers who taught the world how to fly: Wilbur and Orville Wright. Limited copies of this book will be available at the circulation desk. All are welcome to attend! The Friends of the Library Annual Used Book Sale is happening once again this spring. Join us for a week full of materials available for purchase. All proceeds benefit the Oscar Grady Public Library programming. Adult Recipe Club, Tuesday, May 7th, 6 p.m. The fragrance of herbs brings the best in our food and are clear sign that the Spring-Summer season has finally arrived! Calling all cookbook lovers & food enthusiasts! The library’s recipe club is looking for members! Gourmet chef skills are not required- it’s a great way to learn from others and share your best tips while testing out fun new recipes! May is all about herbs!. Bring samples of your food and a copy of the recipe to share with the group. Registration is required for participation and we are always looking for new members! Join us any time! 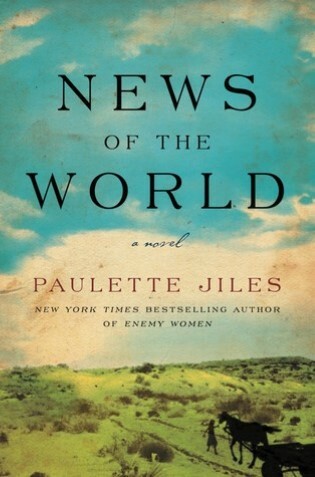 Adult Book Discussion, Monday, May 13th, 6.30 p.m. PLEASE NOTE: BOOK DISCUSSION WILL NOT MEET IN APRIL. Please stop by after April 1st to pick up this title. We hope you will join us May 13th. It is 1870 and Captain Jefferson Kyle Kidd travels through northern Texas, giving live readings to paying audiences hungry for news of the world. In Wichita Falls, he is offered $50 to deliver a young orphan to her relatives in San Antonio. Four years earlier, a band of Kiowa raiders killed Johanna’s parents and sister; sparing the little girl, they raised her as one of their own. Recently rescued by the U.S. army, the ten-year-old has once again been torn away from the only home she knows. Their 400-mile journey south through unsettled territory and unforgiving terrain proves difficult and dangerous. Johanna has forgotten English, tries to escape at every opportunity, throws away her shoes, and refuses to act “civilized.” Yet as the miles pass, the two lonely survivors tentatively begin to trust each other, forging a bond that marks the difference between life and death in this treacherous land. Arriving in San Antonio, the captain must hand Johanna over to an aunt and uncle she does not remember—strangers who regard her as an unwanted burden. A respectable man, Kidd is faced with a terrible choice: abandon the girl to her fate or become a kidnapper himself. Get ready to dance the morning away! Toddler & Preschool Dance Party is a fun, interactive music program featuring music, movement and more! Children ages 2-6 and their caregivers are invited to listen, move, jump and dance with Miss Julie. No registration required. See you there! The 2019 SPRING SUMMER Newsletter is now available – online, at Village Hall, and the Oscar Grady Library. You can click HERE to access the latest newsletter.